Digital Element, the leading provider of IP geolocation technology, today announced Teads, the global leaders in native video advertising and a global monetisation platform for publishers, has adopted its NetAcuity Pulse hyperlocal IP geolocation solution to ensure the right video is served to the right audience, in the right location. Digital Element’s technology will be integrated into inRead, an innovative native video advertising product from Teads. inRead places video outside the traditional player, inserting it into the heart of editorial content to provide a targeted experience that is respectful to the consumer. 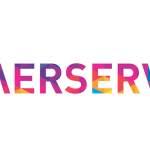 The inRead product serves video ads in premium environments, with inventory from publishers including, Mashable, Le Monde, Les Echos, Die Welt, The Guardian, The Telegraph, La Repubblica, Il Messaggero, Nikkei, Asahi, O Globo, and more. After working with other IP geolocation partners, Teads selected Digital Element to increase the granularity and accuracy of its geographic targeting data and meet the growing demands of its premium publishers and their advertisers. Teads’ native video solutions work across all devices from desktop to smartphone – including in-app – so it is vital they can identify the consumer’s location to deliver contextually relevant video ads. NetAcuity Pulse™ combines wi-fi connected mobile traffic and internet infrastructure analysis to provide actionable insights that can be used to increase reach, accuracy and targeting ability within postcodes across the globe. This provides Teads with unrivalled IP-based geographic targeting precision for video advertising across multiple devices. Digital Element’s NetAcuity Pulse™ uses a network of IP location information derived from mobile devices, billions of on-device-location transactions, and internet routing infrastructure analysis. This more precise yet privacy-sensitive online targeting method is based on where a user is located and connected at a specific point in time, regardless of device. The information provided can include whether or not the connection is being made through a wi-fi network, the user’s point-in-time geographic location, and whether a home or business hotspot is in use. The benefits of using wi-fi targeting include increased revenues, better return on investment, stronger brand loyalty, and improved consumer engagement. Teads joins Digital Element’s portfolio of high-profile clients which includes: Microsoft, Weborama, Vibrant Media, MediaMath, Crimtan, Infectious Media, Webtrekk, Adform, eXelate, Mashero, InSkin Media AOL’s ADTECH, APSIS Ströer Digital Group, and Yahoo’s BlueLithium. 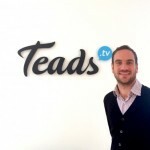 Teads, founded in 2011, is the inventor of native video advertising and a global monetization platform for publishers. Publishers work with Teads to create brand new video inventory and monetize it through Teads sales force, their own sales force, or programmatic buying. 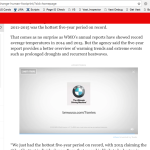 Teads’ native video advertising solutions encompass a series of formats inserted deep into media content, like the inRead playing inside articles. 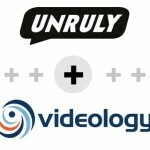 It is changing the game within the video advertising market by creating unprecedented levels of premium inventory, which did not exist before. Brands and agencies can access this top-tier, premium inventory, available on the web and on mobile, through programmatic or managed services. Through its managed services capabilities, the Teads team execute on their clients behalf using its platform. Teads has a team of over 450 employees, 100 of which are in the innovation team, across 26 offices in 18 countries.